Regardless of if you’re a buyer, seller, loan, or escrow/title officer, it is imperative to understand how title companies work. What is title, who is involved at a title company, why are title companies needed, what does a title company do, how do real estate agents interact with title companies, and how do title companies impact your closing costs? Sound overwhelming? It doesn’t have to be. Let’s not get ahead of ourselves – let’s slow down – and take this bit by bit. Before we can understand what a title company does, we need to first understand the foundation: what is a title? A title is the legal right to a property in which someone has an interest. This is a formal document that is required when someone transfers ownership of something (ex: a house) from one person to another. Basically, a title is a formal piece of paper that demonstrates ownership. Why are title companies needed? Title companies are needed because organizing and exchanging funds, information, and back-and-forth details can get messy. Remember when you and your siblings were fighting over a toy you two had when you were younger? It’s mine! No, it’s mine! Ring any bells? What happened next? Well, your parents stepped in and facilitated the process of who was really had “ownership” of the toy at that time. The intervention of a title company is similar. Title companies review the title to determine ownership, coordinate insurance policies, and organize the official closing. It didn’t feel fair for your big brother or sister to barge in the room, see something that they wanted, and then claim it as “theirs”, right? Fortunately, title companies, acting as non-biased intermediaries, assisting in searching for a title and providing title insurance. This way your toy gets to stay yours because, not only did your parents find the receipt (title), but they insured that no one realistically barge in and claim that the toy (house) belongs to them instead. A title search is the action of recovering documents that show proof of an event associated with property. Just like finding a receipt to be able to prove that you bought something. 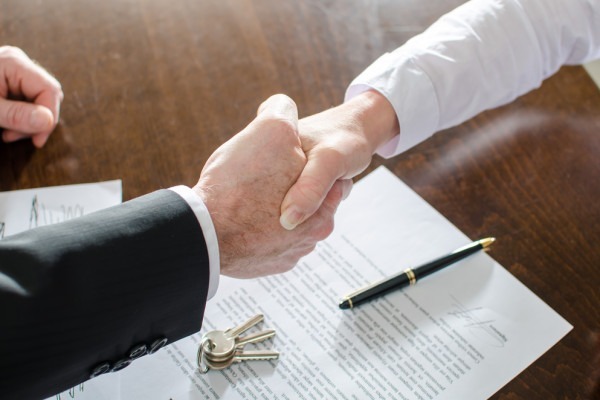 If you’re buying a home, a title search is usually done to answer the following questions: Is the seller allowed to sell this property, are there any reasons why the seller can’t sell, and does a lien need to be paid off first prior to transferring ownership? Who is involved at a Title Company? Escrow Agent / Title Officer: The neutral middleman. This role has a fiduciary duty (ethical responsibility with both sides) during exchange of money and/or assets. Processor: The “attention to detail” person. This role focuses on completing, reviewing, fact checking, and submitting forms to ensure everything was done correctly. In short, a title company ensures that the legal right of ownership (title) is authentic & valid. After the title is declared legitimate, the title company then provides a new title, and insurance for the property, now that ownership has changed. Traditionally, homebuyers and lenders require proof of title insurance because no one likes to be caught off guard without a safety net. Basically, this serves as protection, against a possible lawsuit, for the new owner and lender if someone claims that they have right to the new property you just bought. How long does it take a title company to clear a title? Roughly, this procedure of back and forth with a title company takes about two to six weeks. This period of time is what people refer to when they say that they are “in escrow”. For a more accurate timeline, since every situation is different, asking this question to your real estate agent is your most accurate option. What costs could I run into at a title company? According to Zillow, and industry leading lender Paramount Mortgage, there are four primary categories (or settlement costs) associated with title companies. Title search: This is done to make sure that there are no unpaid mortgages or tax liens on the property. In most states it can be done by a title insurance company. But a few states require an attorney to conduct the search. Fees vary but expect to pay $200 to $400. Title insurance fees: This protects you by guaranteeing that the title to the property is clear. There may be a second fee listed on the closing document to cover a separate policy that protects the lender. Cost for this averages 0.5 percent of the purchase price but could go as high as one percent of the purchase price. Notary fees: A licensed notary public serves as witness that the documents were signed by you. If you’re closing at the title or escrow office, fees for notarization may be waived. Fees are set by each state. Attorney fees: Some states require an attorney to oversee the closing. In most states, it’s up to you whether to hire your own lawyer. Real estate attorney fees vary. Some charge by the hour with rates ranging from $150 to $350 per hour, while others offer a fixed rate to conduct a real estate closing. Expect to pay $500 to as much as $1,500 if you hire an attorney. Ultimately, understanding the ins and outs of – what does a title company do – doesn’t have to be a complicated process. With the right support in-person and online, isn’t it time you expect more from your REALTOR®?